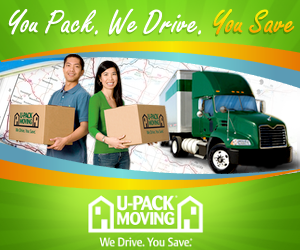 Moving into a new home can be frustrating, time-consuming, and burdensome. The largest challenges when it comes to packing are your closets. Whether your closets are filled with clothes, shoes, junk drawers, or linens, there are some very ingenious packing tricks you can utilize to pack your bulky closets more efficiently in both time and space. When beginning to pack the clothes from your closet, your first instinct will be to take your items down from their hangers, fold them, and place them neatly into a box. 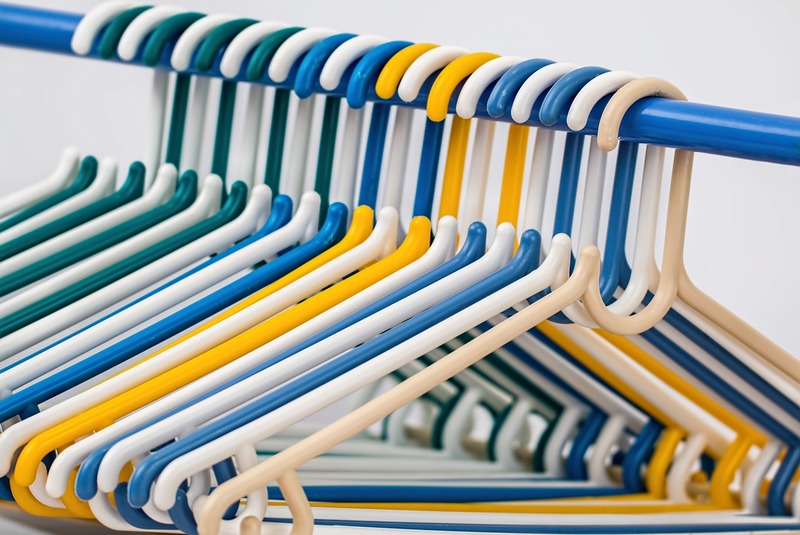 Before you begin this time-consuming task, consider keeping your clothes on their hangers. This will expedite unpacking when you get to your new home. Simply separate your closet clothes into sections, tear a small hole into a garbage bag, drape the garbage bag over the set of hangers so that the hanger hooks are sticking out, and then pack that pile of clothes into a box. We all have a pile of shoes somewhere in our closet. Before you toss those shoes into a box to get smashed and scuffed, decide to wrap your shoes in a single piece of newspaper instead to provide protection and cushioning for your expensive and cherished shoe collection. 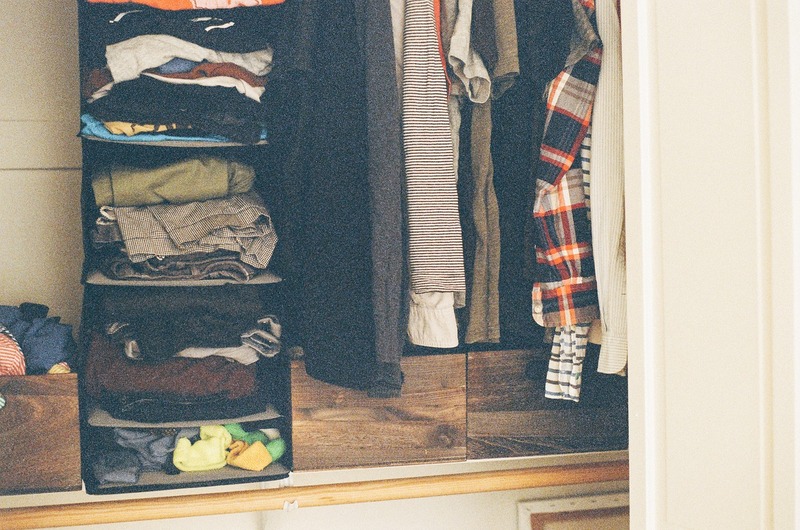 Keeping a small chest of drawers inside of your closet is a very smart way to keep your closet items organized and easily obtainable, but keeping an extra dresser in your closet also adds more work when it comes to packing up your closet, right? Not exactly. A simple trick our San Diego movers use to pack up small dresser drawers is to simply keep everything inside of the drawer and wrap it in plastic wrap. Pull the drawer out first, of course, and then just wrap plastic wrap around the drawer to secure the contents. Then you can simply move the drawers around at your leisure while the contents remain sealed. If your closet is full of empty briefcases, luggage, or purses, put these items to work for you while you move them. Fill your empty handbags or briefcases with small items and then pack your handbags and briefcases into boxes. This is a great way to make the most out of your packing space to reduce the number of boxes you’ll need to move back and forth. When packing up your linen closet, it’s so easy for pillowcases to become separated from their sheet set or for your bed sheets to become tangled with one another into a huge mess of a knot. A clever trick to ensure your pillowcases remain with their proper sheet set is to use the pillowcases as a carrier for their sheets. Simply fold the fitted sheet, top sheet, extra pillowcase, and stuff them into the first pillowcase. This will not only keep your bed sheet sets confined together but will also prevent sheets from becoming tangled. This means less frustration for you when it’s time to unpack your linen boxes. Whether you’re moving your boxes yourself or hiring a moving company, always remember to use bubble wrap for boxes filled with your most delicate of items. Also, use black permanent marker to write “FRAGILE” on your delicate boxes in large letters and on all sides. Make a move to your new home safe and successful by implementing these closet packing tricks.